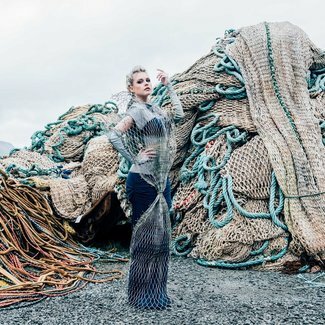 From August 23-27, 2017, the Faroe Islands hosted the Blue Fashion Challenge, a unique event celebrating sustainable fashion and the ‘blue bioeconomy’. 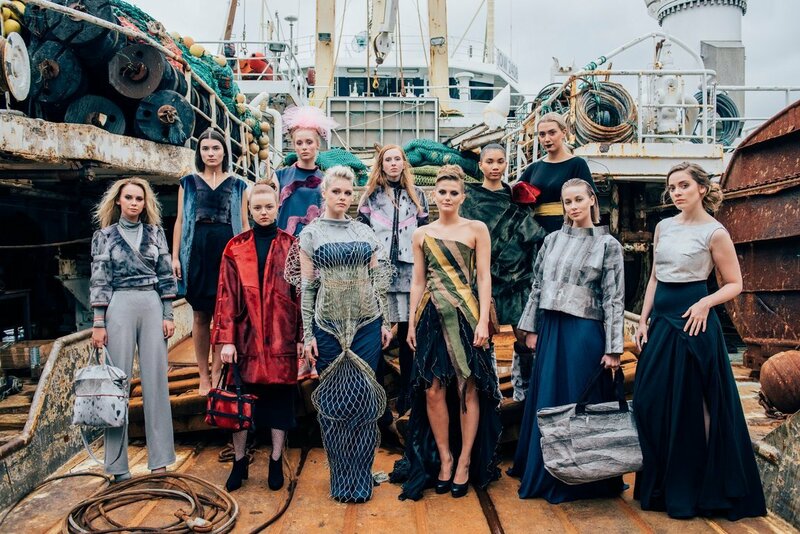 This design competition was created by NORA and the Faroese Ministry of Fisheries to introduce Nordic fashion designers to marine biomaterials such as fish skin, sealskin and seaweed. Chair and guest of honour, Tommy Ton is a world-famous fashion photographer, blogger and curator, renowned for his street coverage of the leading fashion events. 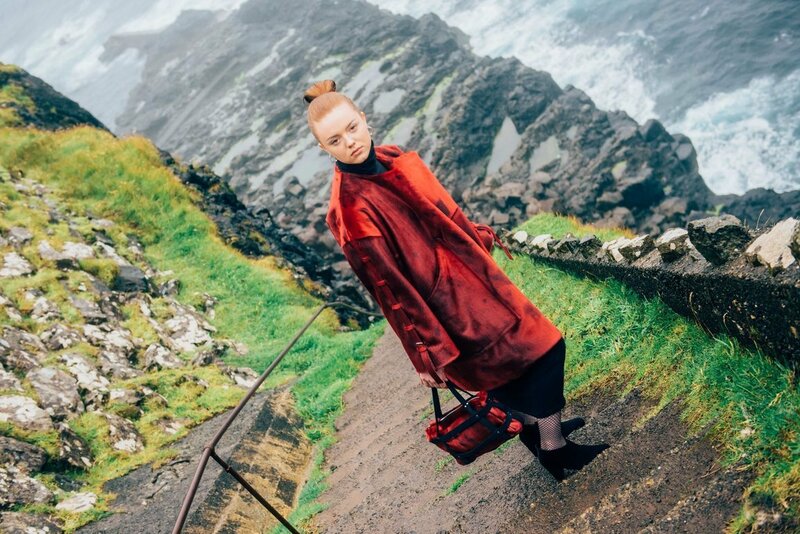 Besides chairing the jury, Ton braved the elements to photograph all the designs in iconic locations around the Faroe Islands during an epic day of shooting. Founder of Closed Loop and consultant to the Danish Fashion Institute, Suzi Christoffersen specialises in sustainable materials and fashion supply-chain sustainability. 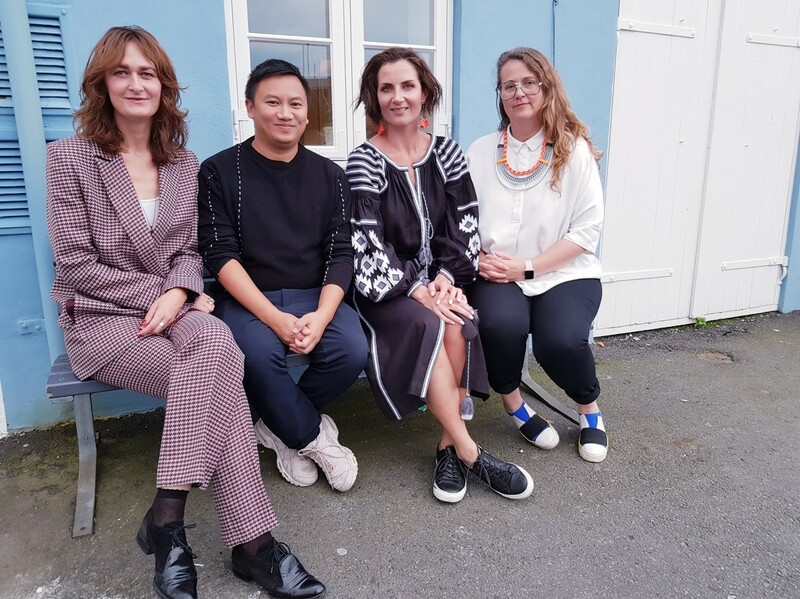 The managing director of the Iceland Design Center, Halla Helgadóttir brings extensive experience in art and creative direction to the table, as well as a keen understanding of Nordic design trends. Founder of Steinum Design, a Nordic knitwear brand, Jóhanna av Steinum has a great knowledge of North Atlantic traditions and extensive fashion-related experience. After the designers presented their creations, the jury deliberated for almost two full hours to determine the winner. Selection criteria aligned with the event’s mission: overall quality and creativity of the design, amount of marine biomaterials used and market potential. The quality of the presentation and, of course, the jury’s gut feeling, were also important factors. The Blue Fashion Challenge closed with all the creations being photographed by Tommy Ton, one of the world’s most-followed fashion photographers. 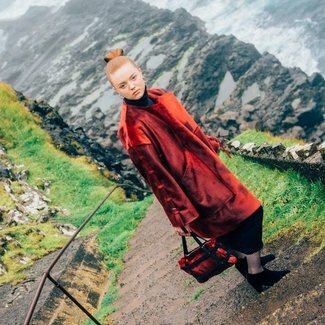 Over the course of a single day, Ton photographed the best designs in iconic Faroese locations and shared them with fashion-lovers around the world. In the North Atlantic region, the tradition of using fish skin to craft clothes and accessories goes back generations. In the world of fashion, the material has been used by most luxury brands. Several mainstream labels have also experimented with it, but it has yet to reach mass demand. Fish leather is typically produced from four different species: salmon, perch, wolffish and cod – each with its own unique characteristics – in a diverse range of colours, textures and finishes. What makes special fish leather so special? Firstly, it has outstanding properties. It is thin, flexible and very strong. It is also versatile, offering a variety of textures that can fit a multiplicity of applications and styles. Secondly, using fish skin is much more sustainable than regular sources of leather. In the countries where it is produced, fish leather is a by-product of the fishing industry. It utilises material that would otherwise go to waste or be used for low-grade products, such as fish meal. In a world where leather plays such an important role in fashion, interior decoration and the automotive industry, fish skin can no longer be overlooked. Will brands around the world harness its full potential and reap all the benefits it has to offer? 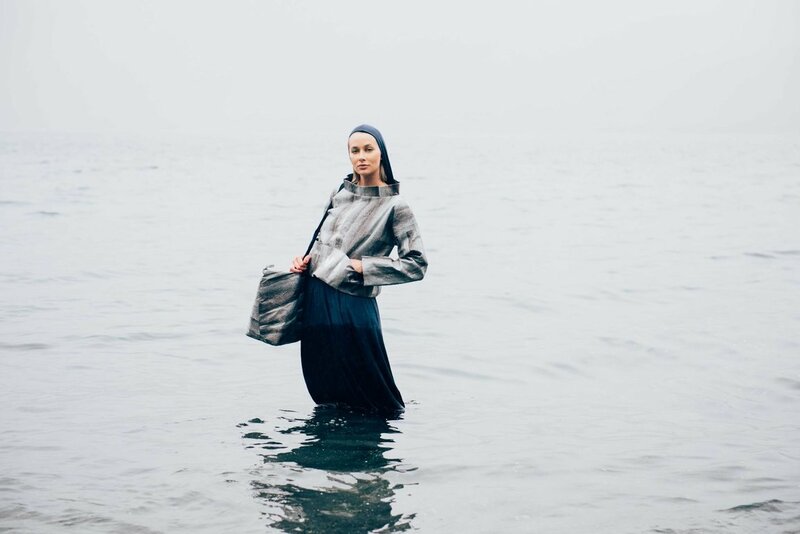 During the Blue Fashion Challenge, participants were offered the chance to use a textile composed of 65% jersey and 35% seaweed harvested from the North Atlantic. 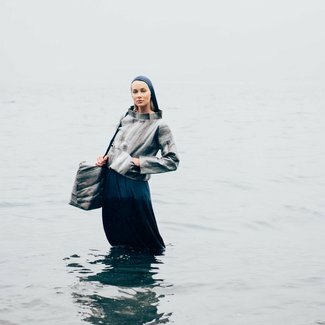 The blend is the first step towards a more competitive solution that will soon be available to a wider public: a textile made of 100% North Atlantic seaweed. 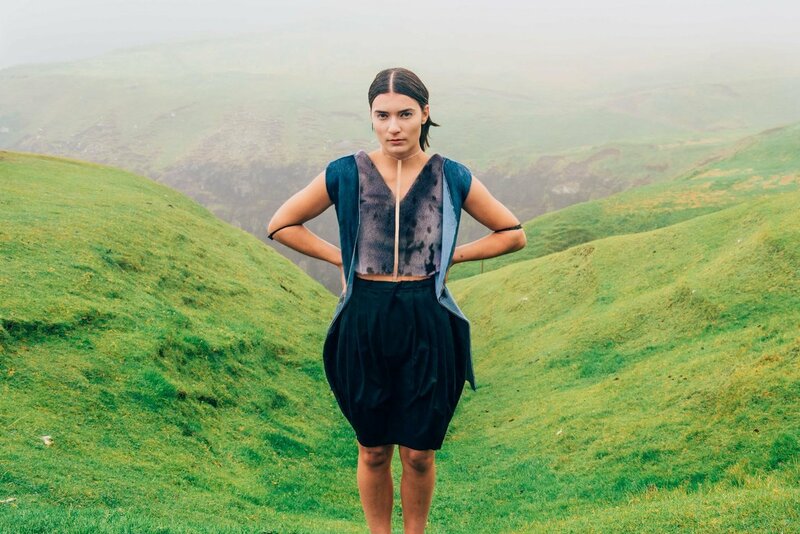 The research project that provided the seaweed used to manufacture the fabric is based in the Faroe Islands. It grows four varieties of macroalgae in the open ocean: latissima, esculenta, digitata and palmata. The seaweed is currently used for medicinal purposes, in cosmetics and for food products. What makes seaweed so special? As a marine biomaterial, seaweed is attractive because it is abundant in the open ocean, does not require animals to produce and has promising health properties that could result in the development of garments that benefit the skin. 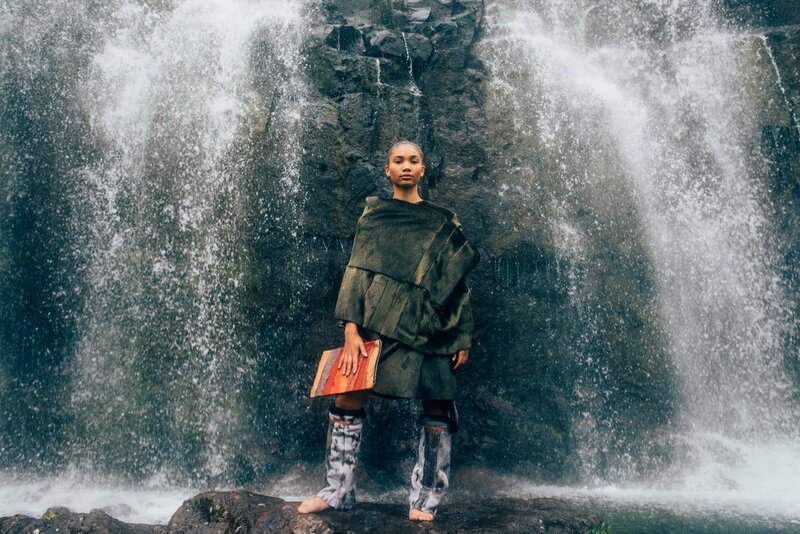 The goal is to come up with a biodegradable textile that is composed entirely of marine biomaterials and produced according to sustainable practices. The seaweed-jersey blend used during the competition was thin and elastic. It came in black and dark blue. 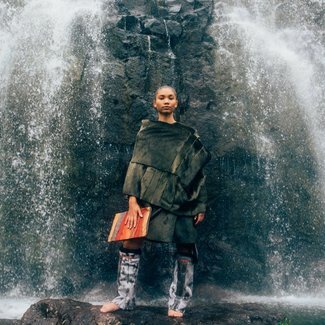 For millennia, indigenous people around the world have been using sealskin to create items such as waterproof jackets and boots, purses, pouches and even boats. Sealskin is an integral part of the heritage and traditional cultures of the North Atlantic region, where seals were used for food and clothes, with no part of the animal going to waste. The use of sealskin in fashion is sometimes controversial, but hunting in the North Atlantic is regulated and sustainable. Due to the relatively small number of seals hunted, sealskin items are by their very nature rare and unique. What makes sealskin so special? Sealskins are larger than most other animal pelts, which reduces the need to piece smaller items together. 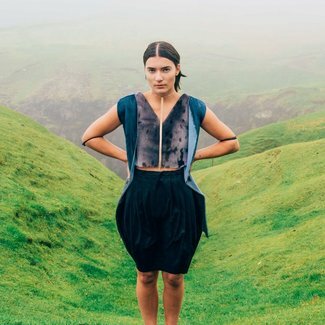 They are heavy to work with, but, with new techniques for tanning, scalping and dyeing, sealskin can be made thin enough to be sewn into delicate garments such evening gowns and underwear. The sealskin used in the Blue Fashion Challenge features the name of the hunter and other traceability information. Sealskin does not have the market potential that fish leather does, but it is still a useful and sustainable option for specific applications.